The party was complete with Native-American blankets, cowboy hats and teepees. 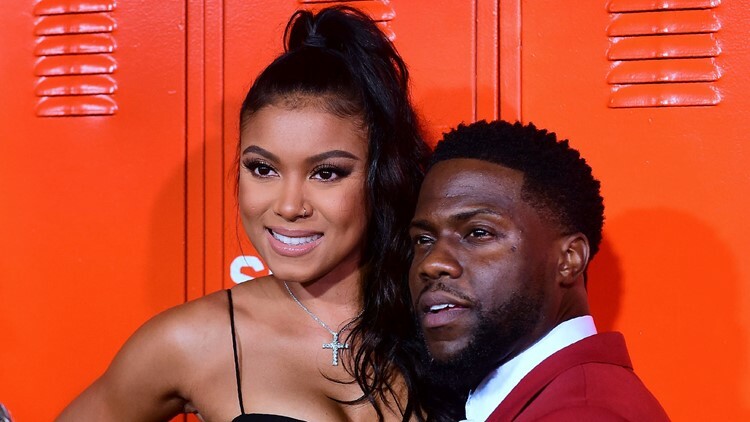 Kevin Hart and wife Eniko Parrish celebrated their son's first birthday over the weekend, but the theme of Kenzo Hart's festivities is not sitting well with some who view it as culture appropriation. Parrish shared pictures of their son's "Cowboys and Indians" birthday party on Instagram Thursday, complete with Native-American blankets, cowboy hats and teepees. "Zos cowboys & indians party was nothing but amazing! Thanks to everyone for coming.. we love you guys," she captioned an image of guests draped in Southwestern wear. However, social media users slammed the comedian's family for being culturally insensitive. User @CMeisters tweeted that "culture isn't a costume," adding "shame on you @enikohart and @KevinHart4real." "Throwin a 'Cowboys & Indians' birthday party on 'Thanksgiving' celebrates genocide, white supremacy, & slavery. R those the things u @KevinHart4real & @enikohart represent & are teaching to your child?" user @solomamihood added. "Would it be ok to throw a Master & slave birthday party? nope." @latinanative666 called the theme "offensive" and "just gross." The Hart's have not yet responded to the controversy. USA TODAY reached out to the comedian's reps for comment. Hart and Parrish welcomed Kenzo in November 2017, the couple's first child together. Hart also has son Hendrix, 11, and daughter Heaven, 13, from his marriage to actress Torrei Hart.